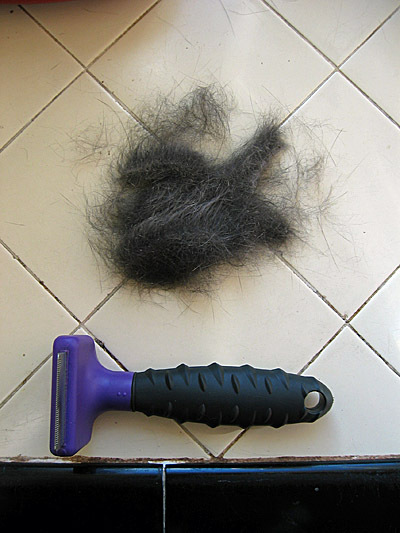 In its first week The FURminator as been busy. Jeff and Rita shed much less during petting and their coats are noticeably thinned out. 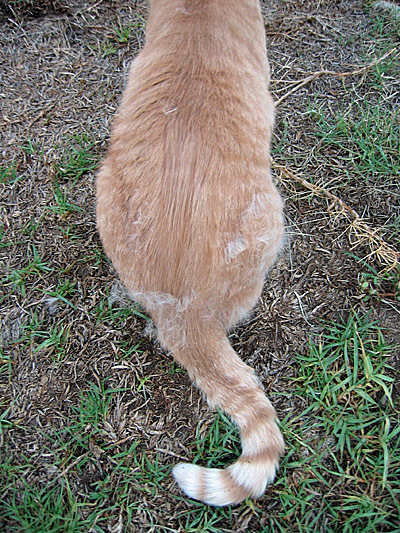 Most Furminating is done outdoors due to the incredible clouds of cat fur that result. Despite all the fur removed thus far, there seems to be plenty still coming off. 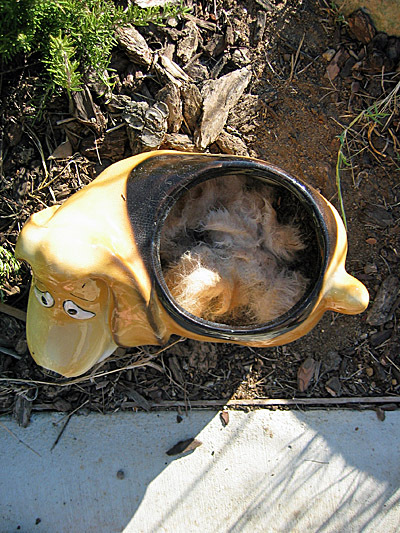 Staff collects as much as possible in the doggy flower pot, but still the yard is scattered with bits of fur – as though it had snowed flurries of orange cat. Perhaps the most interesting development regards Norman. He has always hated brushing or combing of any sort, so Staff was unsurprised when he hissed at The FURminator when initially introduced to it. However Staff was persistent, and now Norman not only allows himself to be Furminated, but in fact demands it. I love you El Jeffe! Every time I read your blog, I laugh and laugh! My local shop in Somersworth, NH called Pet Junction actually carries The Furminator and I intend to get one for my hunters . . . just as soon as these New Hampshire torrential downpours come to a stop! jeff must LOOOVE you…he must feel so streamlined and cool minus all that underfur. We have ordered a Furminator on your recommendation. We will offer a complete review with photos as soon as it arrives. Hearing that Norman enjoys being furminated makes me think I need one for my Molly. She hates brushing, but this might work. Love El Jefe, and getting to see his satelites Rita and Norman and the dog. 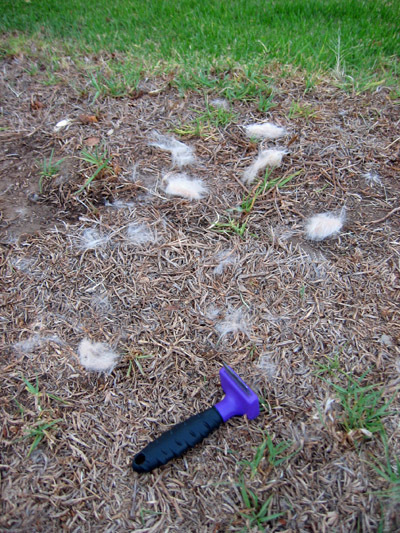 Read our blog with our Furminator review! Photo slideshow included!